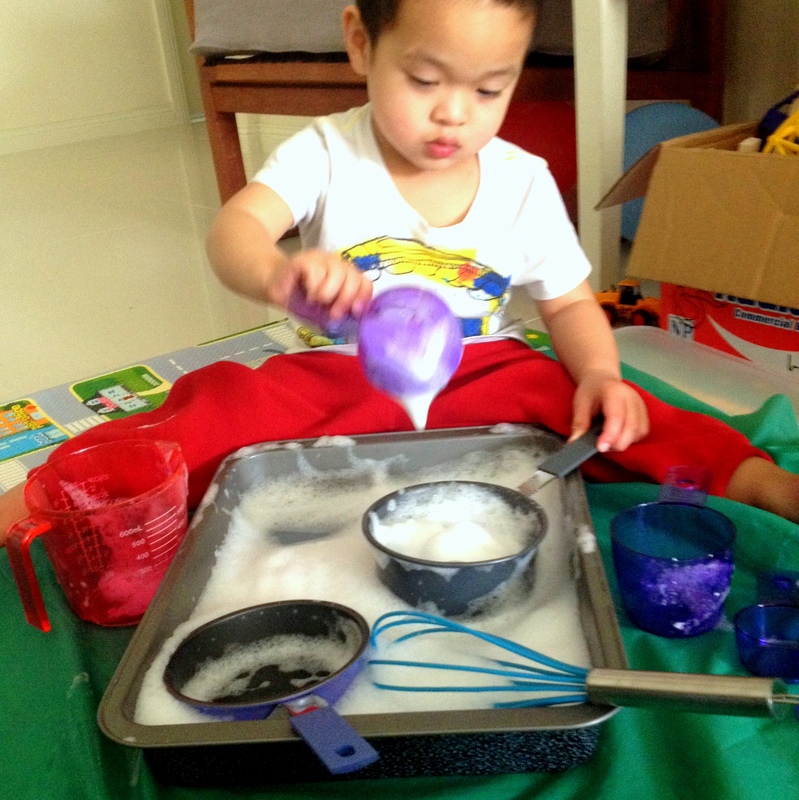 Use soap flakes to create lots of foam for an open ended activity. An open container like an oven tray can help keep the mess contained. Add utensils, pots and pans into the mix. Children learns best through hands-on experiences. Open ended activities are great because it lets children exercise their creative thinking skills. It also build a positive self-esteem and confidence in exploring. Here Alex pretends to whisk egg and milk. You can add colours onto the foam to imagine other cooking ingredients. He mixed it and said, “This is butter! I’m making pancakes.”. 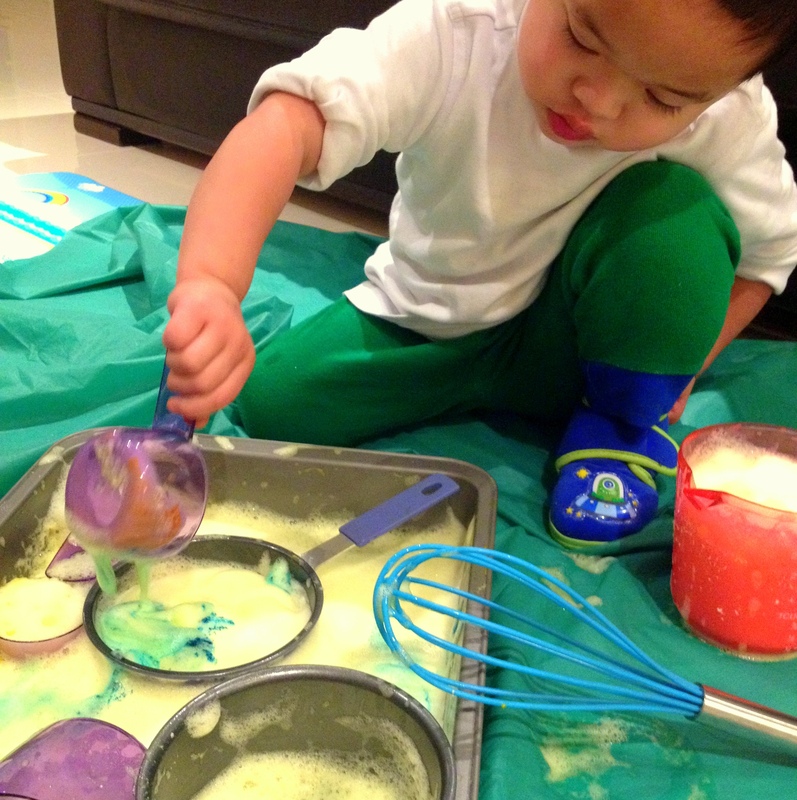 He also develops pre-writing skills through whisking, pouring, transferring, grasping, as well as spooning using different materials. Put the Soap Flakes into the oven tray. Slowly add the water and keep whisking. The more you whisk the more foam it creates. 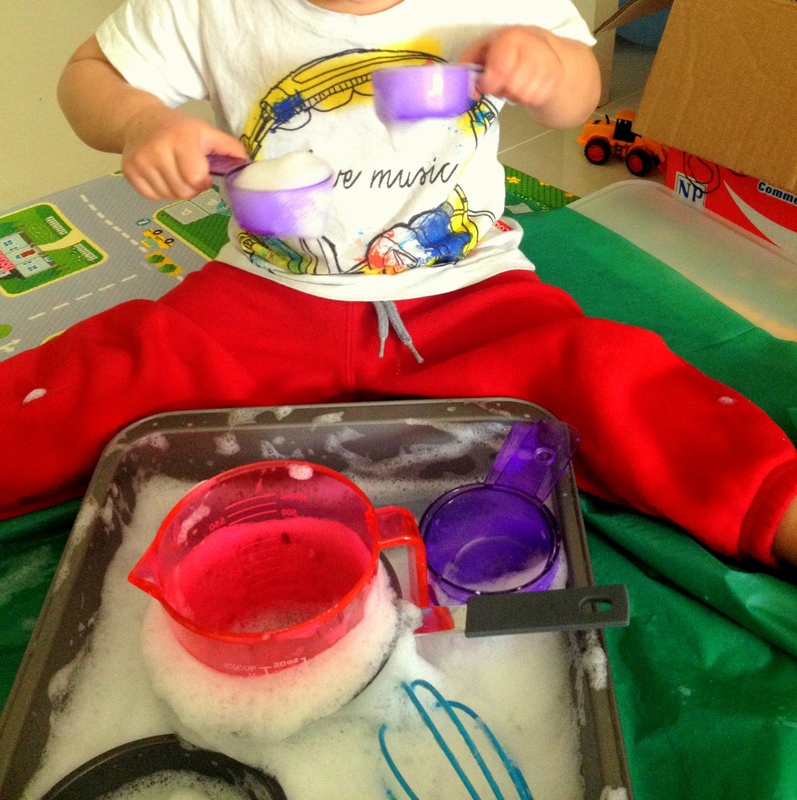 Provide the tray and tools on the messy mat. Let the child have fun! Posted in Science, UncategorizedTagged Creative Play Ideas, Early Childhood, Early Math, Messy Play, Montessori at Home, Science, sensoryBookmark the permalink.